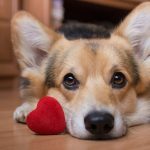 Home » For Pet Lovers » Would You Do These Things to Spoil Your Dog? Do you go above and beyond to show your dog some love? We asked our friends on the @DrAndyRoark Instagram to share how they spoil their canine companions. @octoberscorpion: My dog went “glamping” (glamorous camping) for Labour Day weekend with a friend of mine – and without me. via GIPHY@condera129: Threw my dog a birthday party complete with her dog friends, party hats, and homemade peanut butter doggie cake. 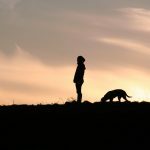 What do you do for your dog? Tell us in the comments below. Be sure to follow the @DrAndyRoark Instagram for a chance to be featured on a future blog!